Google announced Spaces app for Android, iOS, and the desktop. Google Spaces app intend to make share stuff easier from the web in group conversations. 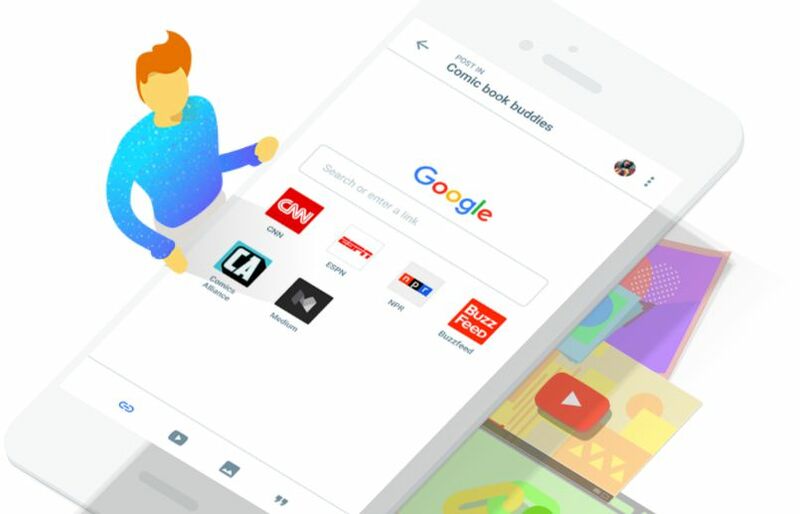 Google Spaces app comes with built-in Google Search, Chrome and Youtube. Users never have to exit the app to check other stuff. There is nothing new in the interface of Spaces app it looks a lot like messaging app. With Google Spaces user can create a space with just one tap for any topic and invite anyone via messaging, email and a social network. Like Google Photos magic, the app search feature lets you pull up earlier images, videos, and comments that have been sent on. Spaces is now available on Android, iOS, desktop, and mobile web for all Gmail accounts. Google IO 2016 is also coming from May 18 to May 20. Where Google may give more details about Android N, Google VR and more. We will see more about Spaces at Google IO 2016.